John Reginald Halliday Christie was born on Saturday 8 April 1899 at his parents’ home, Black Boy House, near Halifax, England. On 10 May 1920 he married a typist, Ethel Waddington. He spent much of the next few years in and out of prison for theft and, on one occasion, for assault. In 1938 the Christies moved into the ground-floor flat of 10 Rillington Place in Notting Hill, London, where Christie found work as a clerk. In 1939, despite his criminal record, he became a war reserve policeman and won two commendations. At Easter 1948 an illiterate van driver, Timothy Evans, 23, and his pregnant wife, Beryl, moved into the upstairs flat. In 1949 Beryl found that she was pregnant again, but did not want a second child. She was offered an abortion by Christie. On 8 November Evans was told that the abortion had not been a success and that his wife had died. Christie said that he would dispose of the body and have baby Geraldine adopted but that Evans should leave London. He returned to Wales on 15 November but on 30 November went to the police. Evans told the police different stories and when the bodies of Beryl and Geraldine were discovered he signed a confession, admitting to both murders. Evans was tried at the Old Bailey between 11 and 13 January 1950, convicted and hanged by Albert Pierrepoint at Pentonville on 9 March 1950. Three years later on 21 March 1953, Christie left Rillington Place. Three days later Beresford Brown, a new tenant, found six bodies in the garden, kitchen and under the sitting-room floor. They were identified as Ruth Fuerst, an Austrian nurse, missing since 1943; Muriel Eady, who had worked with Christie in 1944; Christie’s wife, Ethel; and three prostitutes. All had been strangled. Christie was arrested on 31 March and went on trial at the Old Bailey on 22 June charged only with the murder of his wife. He was convicted and hanged at Pentonville on 15 July 1953 also by Albert Pierrepoint. After Christie went to his death, disquiet was raised over the conviction of Evans. On 18 October 1966 he was granted a posthumous pardon. 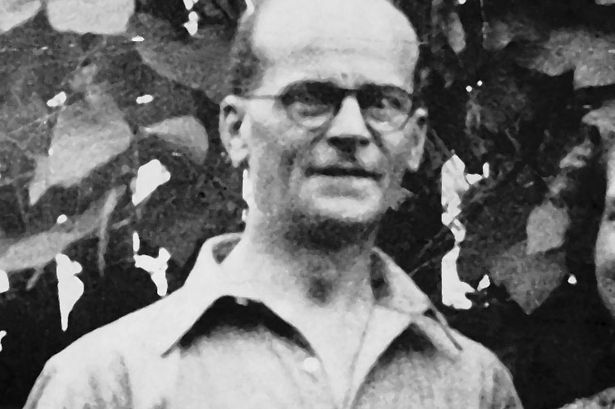 In 1994, however, a book claimed that Evans was indeed guilty and that 10 Rillington Place was home to two stranglers, operating independently of each other. Rillington Place was renamed as Ruston Close after nearby Ruston Mews, which had taken its name from Ruston Parva, a village in Yorkshire. Ruston Close became a tourist attraction until the 1970s when it was torn down and rebuilt as Bartle Road, most likely after the nearby Bartle James Iron Works.